Words matter! They have the power to build up and also to destroy. Just think back to childhood when you were taunted by another child’s belittling epithets! But words and pithy slogans also carry power to mobilize people. Last week, Benjamin Netanyahu when appealing to Congress, adroitly wielded 2 such words. 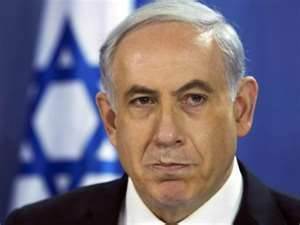 Referring to Iran, the Israeli Prime Minister announced that the nuclear plan proposed FOR her by Western allies poses a ‘threat’. What kind of threat? Here’s where contrasting word choice brought clarity in 5 seconds. Those terms (in bold) frame differing assertions. Hence, two different ‘S-words’ carry divergent presuppositions. Let’s look at some potential presuppositions that America and Israel might employ to ground foreign policy decisions, assumptions built into their assertions. Do you see the force of rhetoric, of which word choice is a tool, to tap into presuppositions, which in turn drive actions? May we all, from private individuals to public officials, take our words seriously as a resource, a gift and a responsibility. ← Logical Gal – Allowed to have an opinion?